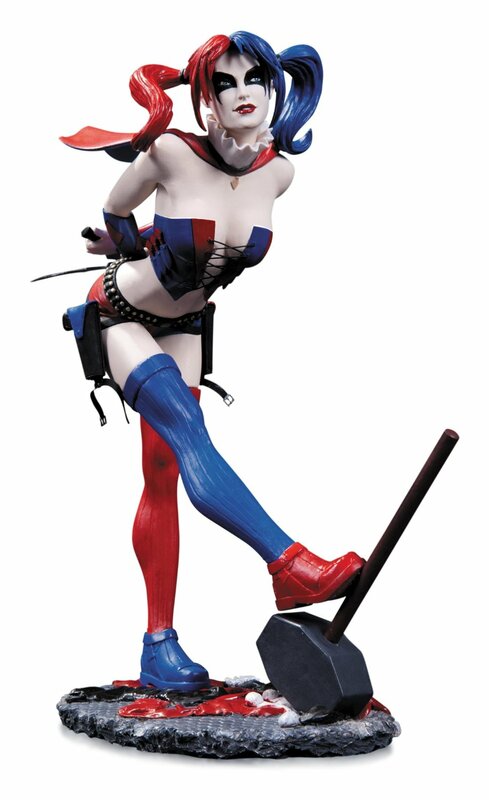 The Dangerous Damsel of Arkham — Harley Quinn — is featured here in her New 52 look for the DC Comics Cover Girls line of statues. Now part of the Suicide Squad, Harley is as unpredictable as ever! This statue is sculpted by Jack Mathews, it measures approximately 8.5" H.
This listing is for the second edition of this highly popular state. The first condition is on sale here. Order Now before Harley slips away!